29 January 2019, at 12:00a.m. Research suggests that chickens that are genetically modified to produce human proteins in their eggs can offer a cost-effective method of producing certain types of drugs. High quantities of the proteins can be recovered from each egg using a simple purification system. Certain types of drugs work at least as well as the same proteins produced using existing methods. The findings provide sound evidence for using chickens as a cheap method of producing high quality drugs for use in research studies and, potentially one day, in patients. The study – which has initially focused on producing high quality proteins for use in scientific research – observed no adverse effects on the chickens themselves, which lay eggs as normal. Eggs are already used for growing viruses that are used as vaccines, such as the flu jab. This new approach is different because the therapeutic proteins are encoded in the chicken’s DNA and produced as part of the egg white. The team have initially focused on two proteins that are essential to the immune system and have therapeutic potential – a human protein called IFNalpha2a, which has powerful antiviral and anti-cancer effects, and the human and pig versions of a protein called macrophage-CSF, which is being developed as a therapy that stimulates damaged tissues to repair themselves. Researchers say they haven’t produced medicines for use in patients yet but the study offers proof-of-principle that the system is feasible and could easily be adapted to produce other therapeutic proteins. Protein-based drugs, which include antibody therapies such as Avastin and Herceptin, are widely used for treating cancer and other diseases. For some of these proteins, the only way to produce them with sufficient quality involves mammalian cell culture techniques, which are expensive and have low yields. Other methods require complex purification systems and additional processing techniques, which raise costs. Scientists have previously shown that genetically modified goats, rabbits and chickens can be used to produce protein therapies in their milk or eggs. The researchers say their new approach is more efficient, produces better yields and is more cost-effective than these previous attempts. In this study, just three eggs were enough to produce a clinically relevant dose of the drug. As chickens can lay up to 300 eggs per year, researchers say their approach could be more cost-effective than other production methods for some important drugs. The study was carried out at The Roslin Institute and Roslin Technologies, a company set up to commercialise research at The Roslin Institute. 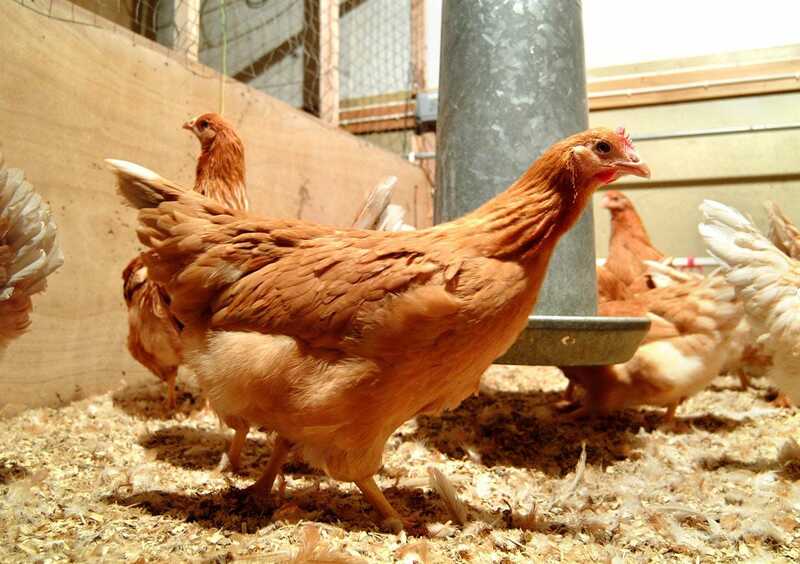 "We are not yet producing medicines for people, but this study shows that chickens are commercially viable for producing proteins suitable for drug discovery studies and other applications in biotechnology", said Professor Helen Sang, The Roslin Institute. "We are excited to develop this technology to its full potential, not just for human therapeutics in the future but also in the fields of research and animal health", added Dr Lissa Herron, head of the Avian Biopharming Business Unit at Roslin Technologies.